Maybe you’re already in the habit of regularly reviewing your legal documents and, if so, this year’s process will likely go fairly fast. If you’re not in the habit, now’s the time to make that an annual task. Here are five important documents to create or review, plus insights into credit report reviews and corresponding identity theft protection, and how to create an emergency preparedness plan for key documents. This document allows people to share what their medical care wishes are for when they reach their end stages of life; this is therefore a type of advance directive. Living wills are important because they let medical professionals and hospitals know how you’d like for them to proceed with your care, even when you can no longer communicate those wishes yourself. Having an up-to-date living will also allows your family members to clearly know what your end-of-life wishes are. If you don’t have this document or if your situation has changed since you first created one, make sure to create or update your living will so your current wishes are accurately reflected. If there are multiple adults in your household, each living will should be reviewed. As a worst-case scenario, if you don’t have this document, then family members and medical professionals are left to guess what you wanted. Disagreements and conflict are common, and your care might become a matter for the court system to decide—and who would want that? More specifically, your living will lets your doctors know your wishes regarding palliative care—meaning, whether you want measures taken to reduce pain and manage symptoms and overall suffering. Also, you can state whether or not you want extraordinary measures taken, such as CPR, to resuscitate you. Your health care power of attorney is different from a living will because a living will goes into effect if you’re permanently unconscious, terminally ill, or otherwise incapacitated to the degree required by your state’s laws. If you’re temporarily incapacitated or otherwise temporarily unable to communicate your wishes, then the living will is not applicable. In that case, you need to have a medical power of attorney. Next up is the financial power of attorney. If you’re unable to manage your financial needs, then you can designate someone to take care of your financial and legal issues. Let’s say, for example, that you’re in the hospital. Your designee can access your bank accounts just like you would, pay your bills, and more. You’ll want to carefully consider whom to name; this is even more important if you have children or otherwise serve as a guardian or caretaker because, in that case, it’s not just your financial and legal matters that are at stake. With this legal document, you’ll also need to decide when it goes into effect. 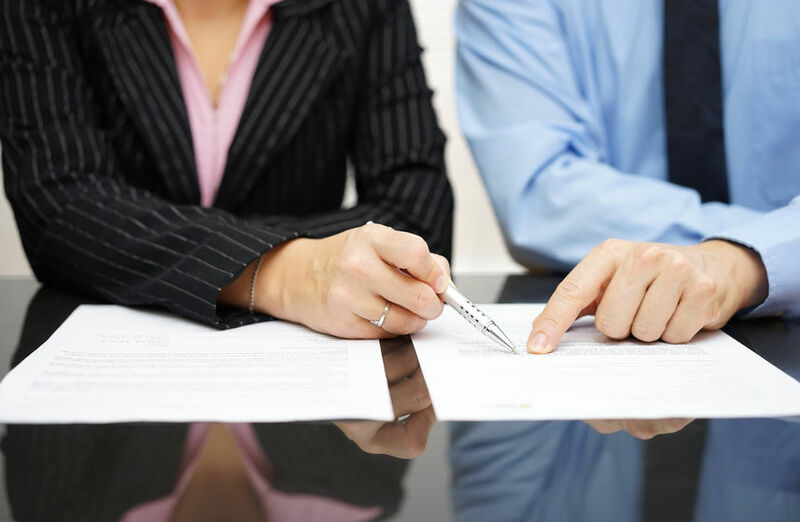 You might want that to happen the day you sign the power of attorney; perhaps it just makes sense to give your spouse the ability to manage all your financial and legal matters. If that’s true, make sure you’re signing a durable power of attorney. Otherwise, you’ll want this to go into effect only if/when you become incapacitated. Like other items listed in this annual legal document review, it’s important to either create a financial power of attorney or update yours as needed. This document names who should inherit your belongings, from real estate and investments, to vehicles and jewelry. When you review this document, make sure that nothing significant has changed about your assets or beneficiaries. Also take a look at whom you’ve chosen as executor (and backup ones, if applicable). Do you still want this person to be the one to help ensure your wishes are carried out? Is he or she still capable of doing so? If you’re creating a will for the first time, note that requirements vary by state, including but not limited to how it should be witnessed. If you have children who aren’t yet adults, guardianship documents list who should finish raising them if you can’t. This person would make important decisions about your children’s health, education, and much more. If you haven’t yet named someone, make this part of your 2019 legal document review. If you have, is the person you listed still the right person? Is he or she still willing and able to take on this task if it becomes necessary? Also think about some logistics when you create or review/update this document. Let’s say that the person you’ve named has moved to another state, but you still want him or her to be the guardian. What is the short-term plan before this person can get to your children? What information should this guardian have about your children, perhaps about health issue or child support? What documentation should you share with the guardian? Each year, you are entitled to a free credit report from each of the three major credit bureaus in the United States: Equifax, Experian, and TransUnion. This is mandated by law, through the Fair Credit Reporting Act (FCRA), and you can get yours by going to AnnualCreditReport.com or by calling 1-877-322-8228. Making sure any erroneous information is corrected. Going forward, pay your bills on time; strategies to help can include signing up for automatic payments or for payment reminders. Steadily reduce the debt you owe. If this is a challenge, it may help to meet with a financial counselor. As you pay down credit card debt, keep your balances as low as possible going forward. Don’t apply for new credit that you don’t need. If you have any reason to suspect identity theft, either because of what you’ve noticed in your credit reports or for any other reason, it’s important to address this issue as soon as possible. You’ll also need to protect your personal information as carefully as you can going forward. Make photocopies of paper documents and back up your digital material, either on disk or in the cloud (or both). Keep your portable file containing important documents in an easily accessible place, ideally with other emergency supplies. Make sure that someone you trust (or multiple people you trust) knows your emergency preparedness system. As part of your legal document review, update backup copies when you change originals. When you offer this affordable legal benefits plan to your employees, they have access to attorneys who can complete or update estate planning documents and otherwise offer commonly needed legal services. It’s easy for your employees to use their benefits. They can call or use our website, and our convenient mobile app allows them to get answers to questions or initiate a claim. The U.S. Legal Services Family Defender™ is the most comprehensive plan available in the industry today, and it includes identity theft protection services, as well as financial counseling. If you’d like to make this voluntary benefits plan available at your workplace, the process is fast and simple, cost-neutral to your company. Employers: contact us online or call us at 1.800.356.LAWS today. Previous Financial New Year’s Resolutions for Employers and Employees Next What is Bankruptcy and Should I File?